What started as informal treks to the awesome splendor of the Grand Canyon by members of the Institute for Creation Research has grown into a popular excursion for many across the country, from all backgrounds. Dr. Larry Vardiman recounts his memorable trips to this evidence for a worldwide flood, leading groups of adventurous tourists up and down the craggy cliffs, with humor and a reverence for God's Word. 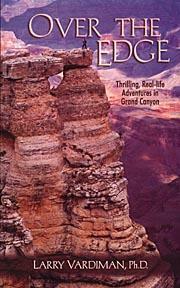 By balancing the rugged beauty of this immense canyon with an acknowledgment of past judgment, Vardiman presents a complete picture of our natural surroundings. From encounters with rattlesnakes to delicious tales of camp meals, this book will enrich your understanding of God in ways you never thought possible. This page was last modified on 23 June 2010, at 23:01.